Every year, the Clifton Chili Eating Club holds a popular eating contests where competitors have to go through several rounds of eating increasingly hotter peppers. It’s a grueling competition, but one that a middle-aged woman by the name of Sid Barber has been dominating since 2014, earning herself the nickname “Unbeatable Sid”. If you like spicy food and think you could handle the heat in a serious chilli contest, than you’ve probably never seen how these event go down. They start off easy, with reasonably hot peppers like Red Fresno, or Jalapeno, which pretty much anyone can eat without serious side effects, but the challenge gets tougher with every round, and before you know it, you find yourself eating Ghost Chillies and Naga Vipers, flaming hot chillies with Scoville ratings averaging over 1 million unit . 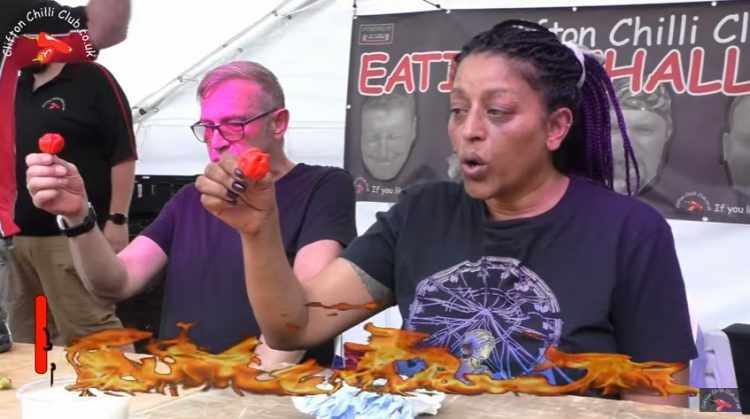 And if you can somehow push through, the final round has remaining contestants feasting on several Carolina Reaper peppers, the hottest chillies in the world, with an average Scoville rating of 1,569,300. As if eating all those peppers wasn’t hard enough, contestants are forbidden from drinking anything throughout the event, which means there’s no way to put out the fire in their mouth, throat and stomach. Some people can’t fight their gag reflex and end up throwing up, which results in disqualification, others try to bear through the pain with uncontrollable tears flowing down their faces, until it gets so hard that they reach for their glass of milk, which equals a forfeit. That painful final round at the Clifton Chilli Eating Contest usually features just two of the original participants, with the rest dropping out from the pain, and, for the past four years, Sid Barber has been one of the last two people standing. 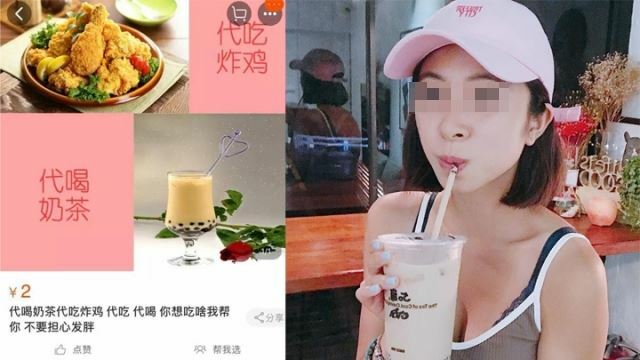 Not only that, but she ended up winning the contest three straight times, which pretty much makes her a living legend among spicy food enthusiasts. Chilli eating contests are not about money. In fact, the grand prize for winning the Clifton Chilli Eating Contest is a mere £50 ($70), which seems like a joke for enduring all that pain during and after eating the peppers, but Sid still comes back every year. She either loves a challenge or she just has an extremely high tolerance for pain. Sid Barber has won the 2014, 2015, 2016 and 2017 Clifton Chilli Eating Contests in grand style, and she’s obviously the big favorite for next year’s contest as well. It’ll be interesting to see if anyone can beat the “real mother of dragons”.